The design of Printed circuit board (PCB) is based on the graph of electric circuit principle, then realize the function the circuit designer need. 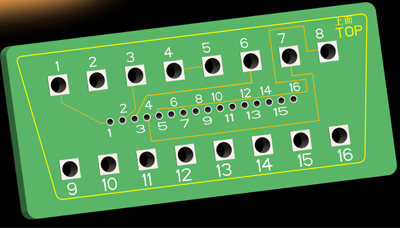 The design of the printed circuit board mainly refers to the layout design, need to consider various factors such as the layout of the external connections, the layout optimization of the internal electronic components, the layout optimization of metal wire and hole, electromagnetic protection, heat dissipation etc. Good landscape design can save production costs and achieve good circuit performance and heat dissipation performance. Simple layout design can be implemented by hand and complex layout design be achieved with the aid of computer aided design (CAD).